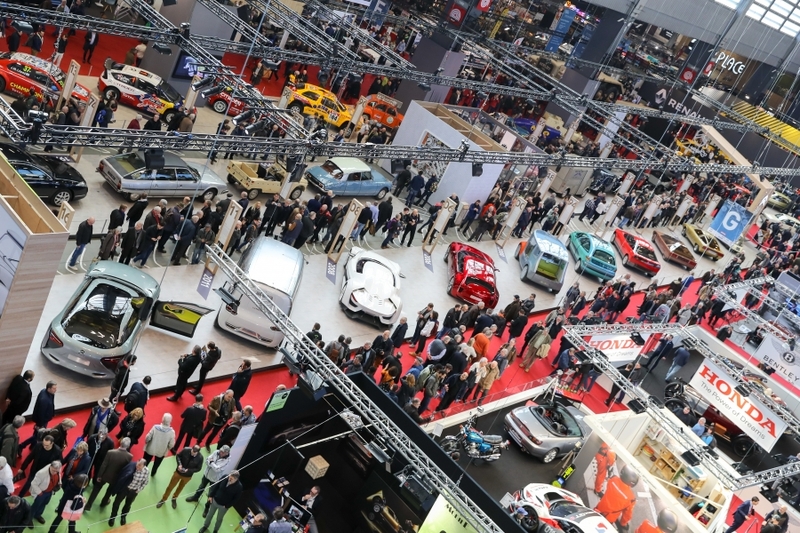 Retromobile 2019 : A record 132,000 visitors ! Retromobile ended Paris Classic Car Week on Sunday 10 February having seen record numbers: 132,000 enthusiasts over the 5 days of the exhibition. The 130,000-visitor milestone was therefore surpassed, and the record broken for the highest number of visitors that was set in 2015 when cars from the Baillon Collection went on sale (121,884 visitors). Every year, thousands of enthusiasts from all over the world flock to Paris to admire dazzling bodywork, to feast their eyes on the lines and curves of cars from another era and to marvel at an array of previously unseen exhibitions, all carefully prepared by the Show’s teams. This year, Rétromobile had no fewer than 620 exhibitors and nearly a thousand vehicles spread over the 3 halls totalling some 72,000 m² of exhibition space – equivalent to 7 football pitches. Hard work rewarded by record visitor numbers, confirming the show’s success and appeal in the eyes of the general public. Highlights of this year’s edition: the Berliet T100 – the «Giant of the Desert» – which amazed people with its spectacular dimensions… and the 60th birthday of the legendary Mini! And because classic cars remain affordable, an exhibition of vehicles on sale for less than €25,000 delighted collectors: 75% of the vehicles were sold! Connoisseurs, amateurs of rare vehicles, those who love unearthing undiscovered treasures and collectors, on the lookout for parts… they were all there! IN 2020, RÉTROMOBILE WILL BE CELEBRATING ITS 45TH BIRTHDAY. SEE YOU NEXT YEAR IN PARIS FROM 5 TO 9 FEBRUARY AT THE PORTE DE VERSAILLES EXHIBITION CENTRE!